People have been idealizing the French way of life since as far back as the 11th century. Unfortunately, reality rarely measures up to the picture-perfect image we fall in love. 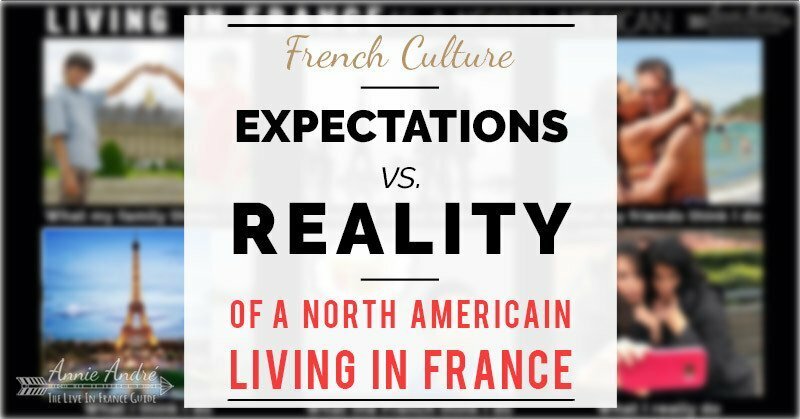 Here’s a look at my take on the “expectations vs reality” of living in France as a North American Expat. 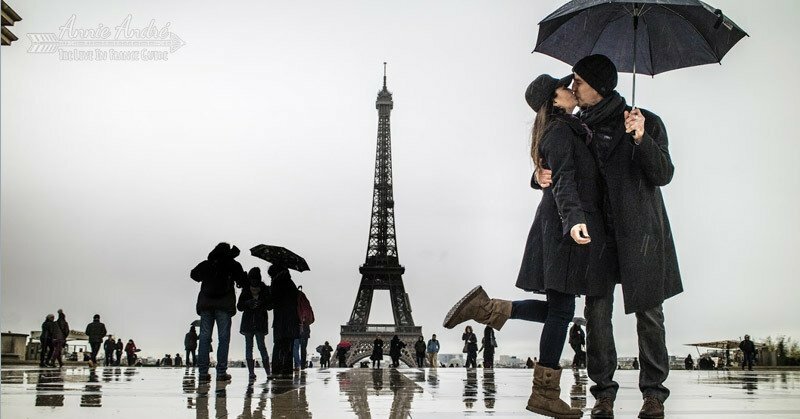 If I were to tell someone “hey, I live in France”, they’ll most likely conjure up romanticised images of France— cobblestone streets — exquisite food — the effortlessly stylish French woman— Kissing in front of the Eiffel tower in the rain. Blake and I were miserably cold when we took this photo in front of the Eiffel tower but the photo looks great! Intuitively, you know France isn’t perfect, but let’s face it, most people see France through rose coloured glasses. Part of the reason so many of us think so highly of France and the French is we’ve essentially been programmed to believe “everything French is better”. All thanks to the artists of every kind who have throughout history been memorializing the French fantasy— in books, fashion, music, art, the movies and of course the media. It’s been going on as far back as the 11th century – maybe longer—when practically everything French was considered high fashion among the elite of the English court, including speaking French which showed your elite status. When you live in France, friends and family will admire you, maybe even envy you—thinking your sitting pretty in the sun, sipping wine, eating baguettes or shopping along the Champs Elesée. What else can they think? 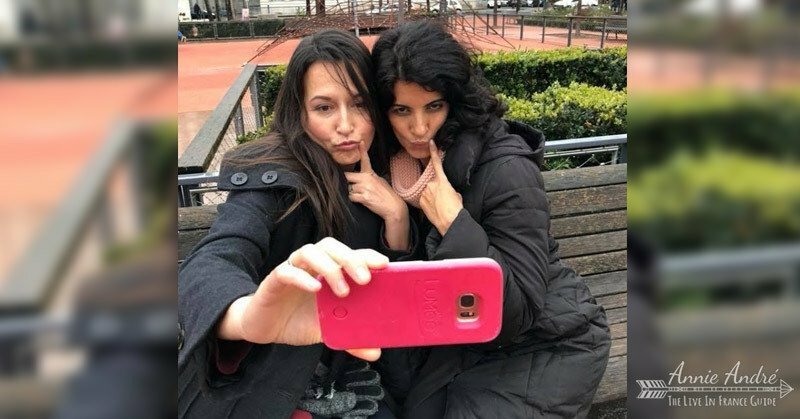 The photos you share with them, whether it be through Facebook or email, only support the “French fantasy” and the “romanticised myth” of all that is French. — Smiling photos at the beach. —Friends rarely share or pay attention to the mundane or less than flattering everyday photos of life in France. Unfortunately, many of those American stereotypes are not very flattering. 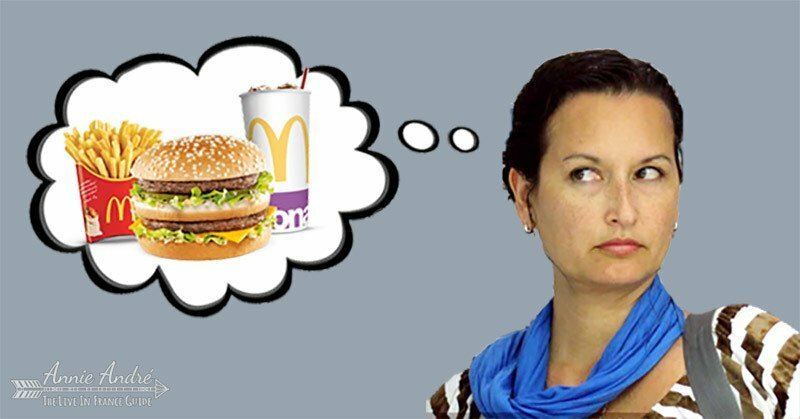 Americans eat a lot of McDonald’s (or fast-food). The United States is unsafe: On more than one occasion, I’ve had a French person ask me if it was safe to travel to the U.S. This is a common concern for many French people, especially with all the school shootings that have been happening in the US. Americans are obsessed with consumerism and like to buy in bulk from stores like Costco. An idea which is horrifying to a lot of French people. These stereotypes have never affected my relationship or the ties I’ve made with people in France, however, I know and they know they exist. I’m very happy living in France. Why else would I have lived in France for so long— since 2011— or create an entire website, this site, dedicated to France and all things French? However, my life in France is a far cry from the “idealized French life” my 2011, starry-eyed self believed and hoped I was going to have. In fact, I was pretty disappointed with life in France— maybe even unhappy in the beginning, for about a year or so. It wasn’t that life was bad, it just wasn’t what I signed up for. 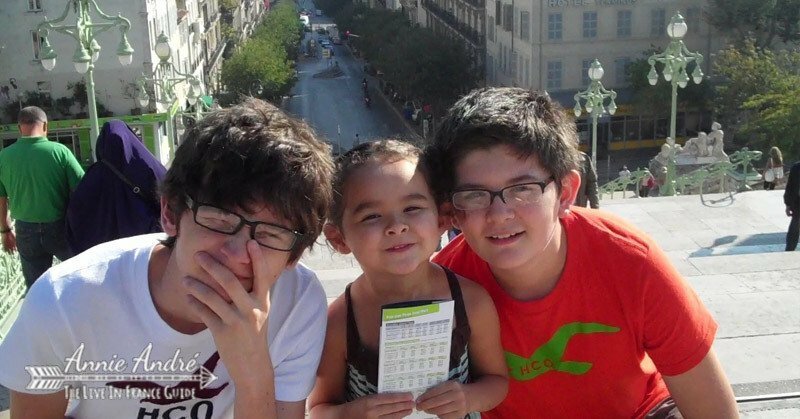 I fell in love with a lie: This photo was taken in Marseille France, just a few days after we arrived. I was disappointed that France wasn’t the picture perfect place I fell in love with. 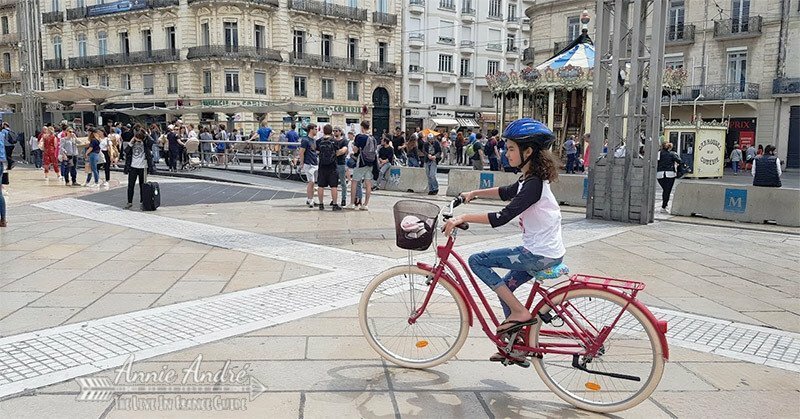 Like so many individuals who come to France with high expectations, I felt let down at the realization that France is nothing like the postcard-perfect place I fell in love with. A simple search on the web and you’ll find thousands of articles touting some secret French way of doing something as a prescription to a better life, often downplaying, omitting or glossing over any shortcomings about France which of course only perpetuates the “French fantasy propaganda machine”. Meanwhile, the positives are often exaggerated or blown out of proportion. Unfortunately, I have yet to discover any mystical French secrets that only the French are privy to. There is no secret way of washing your hair like a French person. There are no beauty secrets to stay young that only the French possess. There is no French secret to staying thin. There is no secret French way to get your kids to eat anything. 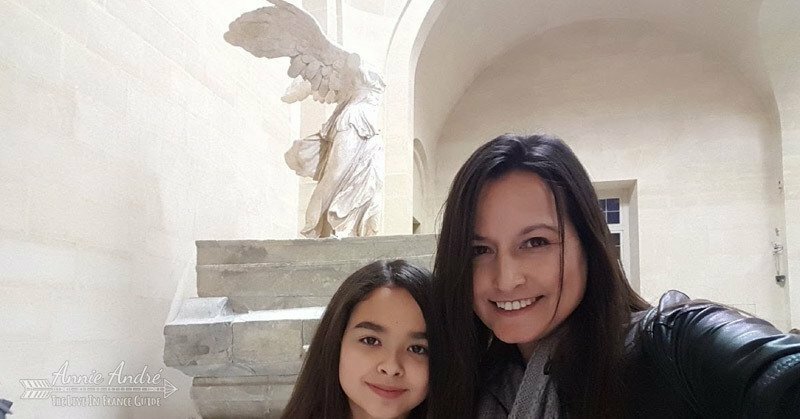 After I realized that France was not the picture perfect place I imagined, I took off the rose coloured glasses, made some changes, readjusted my expectations and adapted to my new country. It was only then that I really started to enjoy my life in France and appreciate France, the real France for what it was, not the France portrayed in the media and movies. If you’re dreaming of moving abroad, France is definitely a worthwhile place to live as long as you set realistic expectations. Here are a few things you should consider or research before moving to France. If you want a better quality of life and earning a living isn’t your main concern, France can be wonderful. If however, you need to make a living, and you don’t have a job already lined up, foreigners often have a hard time finding jobs in France —mainly due to a low-level understanding of the French language. For non-EU citizens like Americans and Canadians, even if you do speak the language, you’re not guaranteed to find a well-paying job in your field. Let’s not forget that you’ll have to find a company willing to sponsor your work visa but in order to do that, they’ll have to prove to the French higher-ups that you’re not stealing a job from an EU or French citizen. If you’re a citizen of an EU country, you don’t have to worry about visas because you have the right to work and live in France but you can’t vote in elections. My friend Diane, over at OuiInFrance.com, who lives in France with her French husband and a really cute dog reminded me that “people who come to retire in France will have a majorly different experience than those of us who need to earn a living and aren’t 60 years old”. People want to move to France for different reasons and your happiness will depend greatly on where you choose to live in France. If you’re young and single and want an active social life, don’t move to a town where everything closes after 8 pm. If you’re not a city person, Paris is probably a bad idea. If you want a truly classical French experience, don’t move to Marseille which has one of the largest population of immigrants in all of France. The south of France has a very different feel than the North of France. Similar to how the East coast has a different vibe than the West coast of the United States. Moving closer to a border town will have strong influences of that other country. Strausburgh borders Germany and has German influences. Menton borders Italy and has strong Italian influences, etc. etc..Often the people in these border towns speak multiple languages. If you don’t speak the language, are you ok with NOT having meaningful or deep conversations with the people around you? Even if you do learn French, it’s going to take years to get your level of comprehension and conversation up to the point where you’ll be able to express yourself or have meaningful conversations. This was a real issue we didn’t anticipate. Although I spoke French already, thanks to my French Canadian side of the family, my husband didn’t speak any French. He would often get bored at social gatherings because everyone around him spoke French very fast. 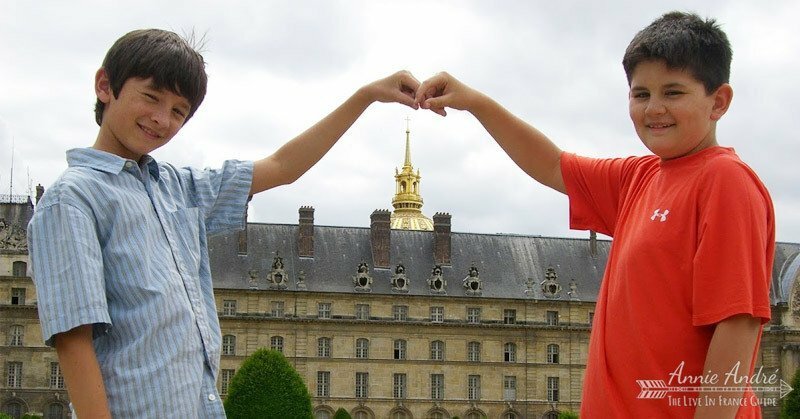 This greatly impacted his experience in France. 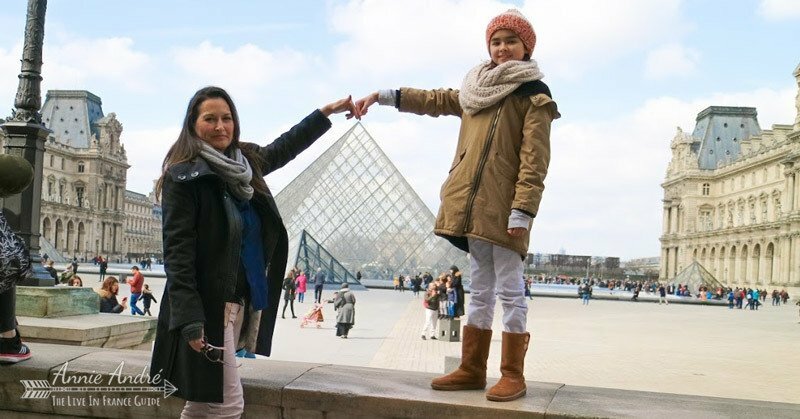 Preparing will help you get a more rounded and realistic view of France. Here are a few articles I found which don’t tout the superiority of all things French. Don’t think just because you visited France a few times or lived abroad elsewhere that you won’t fall victim to the French fantasy. 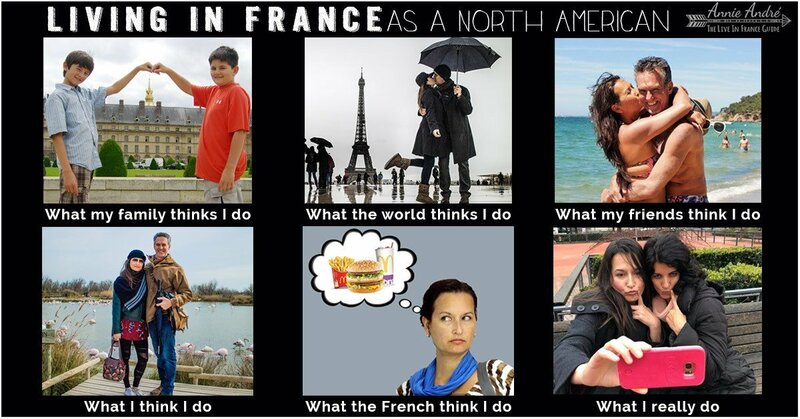 I lived in 3 countries and visited over 15 countries before I moved to France and it still happened to me because the myth of the mystical French life is pervasive throughout the world. Andi if it can happen to me, it can happen to you. If it doesn’t then you are among the few, not the many. All opinions and experiences expressed in this article are my own.